it's a 64 but it's a K20. holy crap, I like that truck - congrats! Hey Bill, you need to post some more pics of that truck. I would like to see more. Pretty cool truck. At least they are really pretty pieces! [QUOTE=THE BOSS;5830030]this truck didn't leave the factory as a K20, it is now and i have it badged properly too. Is this the same truck? I took a picture of it a few years ago at the dunes. yes, same truck. that was the owner before the guy i bought it from. it had 6 lug axles on it then. the guy i bought it from bought it with no motor, trans or transfer case he said, he put the 8 lug axles with 4:88 gears, manual valve-body turbo 350, 3800 stall converter and a 205 transfer case and a 600 HP pump gas motor. i bought it without the motor not completed. i changed the axles, converter, trans for street use and built and installed a 300 or so HP engine for it. We have been going to the race track up there sence 1994. we have a place up there. the plans are spending some time in the dunes this year. Tim, so you are saying there is no factory 1 ton 4x4 with a 127" wheel base? I thought there were no 4x4 longhorns? I'm confused on what you are saying. 1970 - LOVE your truck. Reminds me of the 4x4 in the 70 sales brochure!! (even though it was a K10). Sweet truck. No factory 127"wb C30 67-72 pickups. Factory C30 was 133" or 157" wb with only `the 133" being offered as a factory pickup. No known factory K30 67-72. No factory K20 or K30 Longhorns (they are built on the C30 4x2 chassis only). There were conversion companies that, as today, performed 4x4 conversions. NAPCO and Marmon-Herrington are known factory endorsed converters of C30 67-72 Chevys. 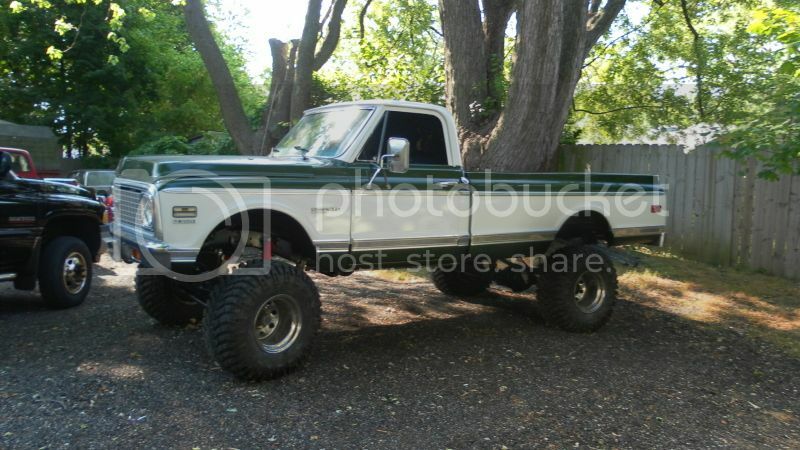 In general 4x4 conversions go way back on heavy Chevys as well. No you don't have me confused yet, I've seen the truck up there a few different times & i'm pretty sure it was different every time. Last time I saw it was about 2 years ago I was behind it on the entry trail, pretty sure it had 35" boggers on it & a wicked sounding motor. i dont think the owner before me ever drove it, he stuck around 10K in it and wanted out. the guy i got if from never titled it either, it had a 09 issued date i think, so the guy in your pic probably was the name on the title when i received it?? that is all i know of it's history. it has a home with me now and it will be for a long time. i dont usually sell anything. Time to revive a great thread. Here is my 1972 K30 Cheyenne Super. I built it up to 1-ton specs on a 9 original mile ¾ ton 4wd frame. I sold it in 2001 and have seen it a couple of times on eBay over the years. This isnt my truck, I'm just posting pictures. 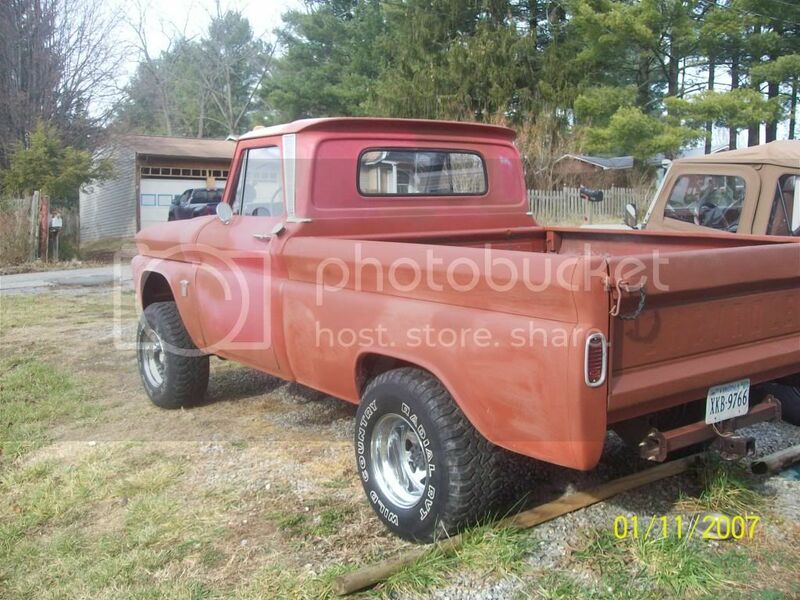 Here is a 72 GMC K20 that is for sale locally from an estate. I have more pictures but the site is only letting me upload one.